Located in a gorgeous early 19th century Georgian villa, Societi Bistro exemplifies the neighbourhood restaurant in a suburb like Gardens: a happy mix of affluent locals and the many foreign tourists who reside in the city bowl; homely, laid back, yet elegant, white tablecloth setting; outdoor space for warm summer evenings; fireplaces for winter nights; friendly, welcoming staff; upmarket, comfort food that isn’t too pricey. Better still it caters for vegans. Next pop -up dinner: 27 March at The Station on Bree Street. 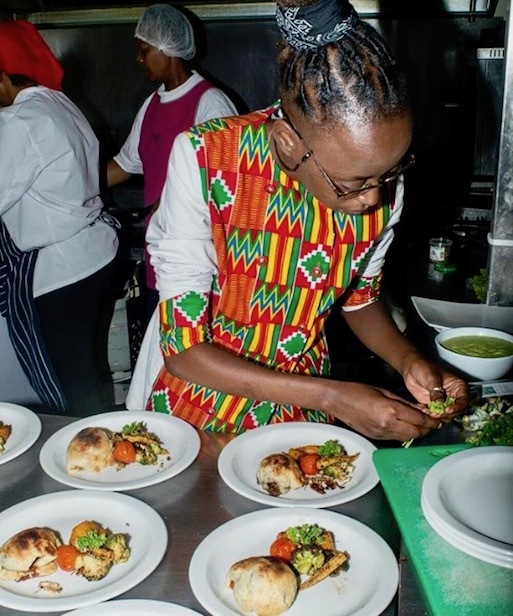 Nicola Kagoro, better known as Chef Cola, is a Zimbabwean vegan chef and she is on a mission to popularise and spread veganism. Although she is not a strict vegan herself, she believes forthrightly that veganism is essential if our planet is going to survive. She is part of a worldwide movement that is convinced that industrial meat production is destroying the global environment and the overconsumption of meat is ruining the health of millions of people. She believes Africa needs to join that movement. Yet veganism would seem to be incompatible with traditional African culture, where animal slaughter is an integral part of rites of passage and animal sacrifices are an essential element in ancestor worship. There is also a strong patriarchal discourse around eating meat – the “macho steak” as Cola puts it. Women seem to be the leading voices on veganism in Africa. But Cola says she is not disrespecting anyone or anyone’s belief nor dictating to others how they should live. Rather, she is trying to persuade people to adopt a vegan lifestyle for the sake of the world and their health. Cola is originally from Harare and she didn’t have a traditional childhood. Part of her upbringing was on Roosevelt Island, Manhattan, New York, from the age of three to 11. Her mom was a diplomat, now retired, and a single parent. “New York shaped me … My work ethic … I move with speed,” says Cola. It was while studying Hospitality Management at the International Hotel School that she realised her calling was as a chef. She trained as a line chef at first. Then for several years she worked at Plant, Cape Town’s first exclusively vegan restaurant, and honed her skills on the job. Her time spent at Plant opened her eyes to the health and environmental issues raised by veganism. She returned to Zimbabwe in 2016 with her vegan ideas. She says there was some “backlash” to her proselytising veganism which is often thought of as “this white thing”. For instance, in the midst of the movement to decolonise the University of Cape Town and the heightened awareness of intersectionality, there was a racial spat after Professor David Benatar of the philosophy department proposed that no meat nor any animal products be served at faculty events. He had in mind an inclusive approach to vegans but was unmindful of excluding people who see eating meat as part of their cultural identity. Cola isn’t too bothered by the “white culture” accusation. The current levels of meat consumption and its attendant farming practice is anything but traditional, and African cities are bursting with urban populations whose beliefs and ideas are increasingly removed from the old ways. Another objection Cola has encountered is the misperception that veganism is very expensive. To counter this, she started a movement called African Vegan on a Budget, suggesting easy and affordable recipes. 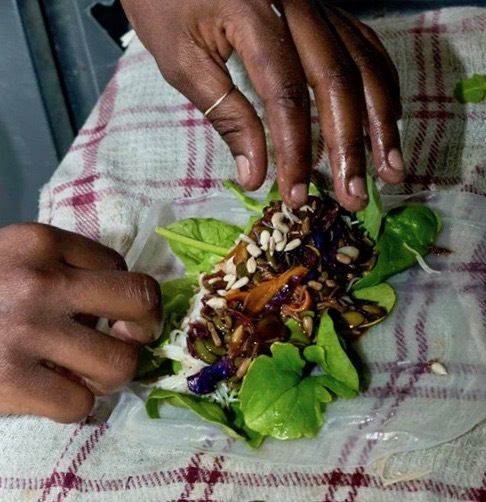 Cola started her pop-up dinners in Zimbabwe in 2016. “It is a proud thing for me to have a brand that started in Zimbabwe,” she says. She sees it as a testament to the country’s resilience, energy and entrepreneurial spirit. “If it wasn’t for my family it wouldn’t have happened,” she says. The whole family pitched in and pop-up ‘Dinner with Chef Cola’ were held at the family home. 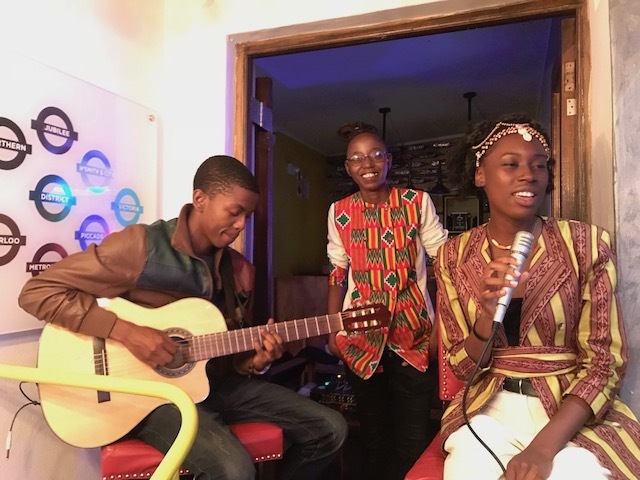 She has now brought the concept to South Africa, with a three-course vegan dinner once a month at The Station on Bree Street, accompanied by Afro-soul singer Tatenda wekwaTenzi. At her first February dinner in Cape Town she served a Vietnamese roll as a starter with the rice paper interleafed with baby spinach. The filling was vermicelli, carrot and red cabbage, accompanied by stand-out zesty lemon, basil and herb pesto sauce with roasted seeds. Cola says she deliberately looked East; she doesn’t want to be boxed-in as a black chef expected to produce traditional African meals which happen to be vegan or to make vegan versions of African cuisine. 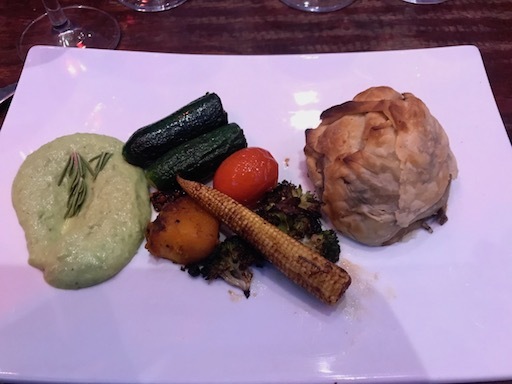 The main course was her signature dish, “beet-wellington”, a vegan take on a British colonial favourite, beef Wellington, with a whole, red beetroot baked inside crisp, puff pastry. It was served with caramelised baby corn, roast cherry tomato, butternut, and chargrilled broccoli, with a pea and coconut purée. Dessert was a flute of very sweet champagne-lemon granita. Cola hopes to hold pop-up dinners in cities across Africa and eventually have her own television series. 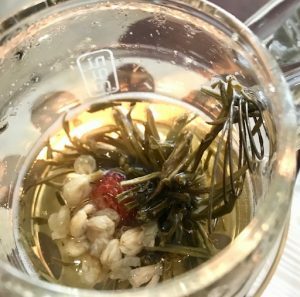 I have been going to the O’ways Teacafé in Claremont since it was first opened in December 2010 by Lisa Tsai and her husband, tea merchant Mingwei Tsai. Staff have come and gone, but O’ways has managed to maintain its high standards. 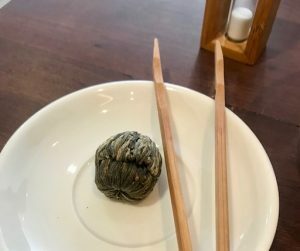 I admit, however, that I tend to always order the same thing these days – the dim sum platter for two, which includes a choice of any one of the myriad of teas. The selection of specialised tea is quite overwhelming. I usually select one good oolong tea and one ornamental flower tea and share with Munchkin, my lunch companion. The interior has become more pared down over the years, but remains warm and welcoming. O’ways still offers table games to play for your amusement in anticipation of the meal, the gong to ring as you exit, and the piano on which Lisa Tsai sometimes treats customers to an impromptu recital. When ordering the dim sum platter specify that it must be vegan. O’ways is vegetarian; the only thing they need to remove from the regular platter is the egg. 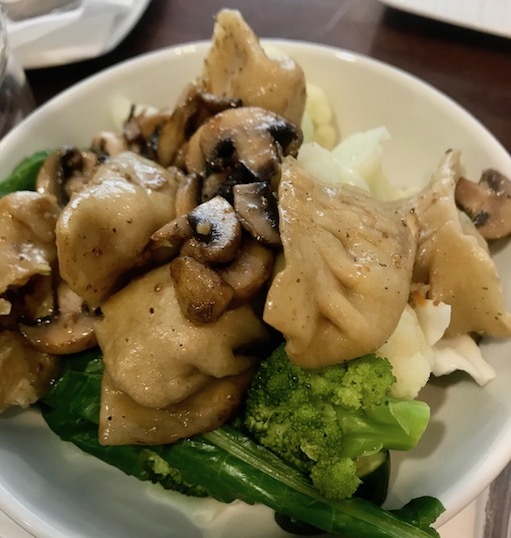 Here is what you can expect: an amuse-bouche of cauliflower fritter with hummus; soya mince dumplings; delicious bao (perhaps the best in town); panfried tofu; mushroom tempura; whole edamame; cauliflower, broccoli and mushrooms; cabbage filled spring rolls. My only real criticism is the sauces. 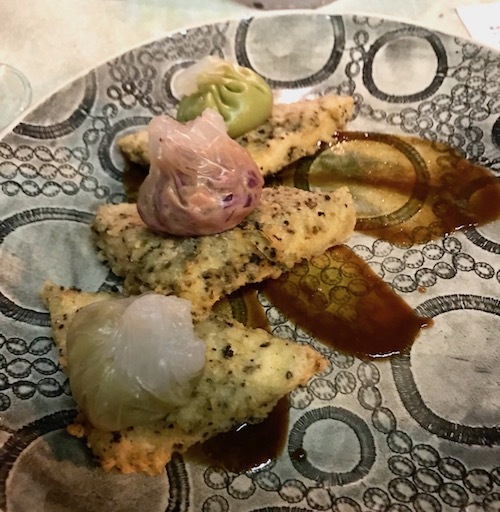 There are three served in a very small, shallow, compartmentalised dish. They are awkward to access and are always insufficient. But you can ask for more. What is wrong with Kauai? You tell people and they look at you incredulously. “Yes,” you repeat, “that’s right, Kauai doesn’t even have a salad that’s vegan.” In fact, they actually took away their vegan options and even removed the little vegan icons that used to dot the menu. Promoting themselves as a “food revolution”, Kauai seems to have missed the vegan boat. Kauai’s idea of healthy living appears to be eating more chicken. Want a Tropical wrap? Chicken. Spicy Burrito? Chicken. Princess? Chicken. Moroccan? Chicken. Thai Crunch? Chicken. Mexi? Chicken. Kale Cesar? Chicken. There isn’t a single wrap, salad or warm bowl on the menu that does not have meat in it. How can you not have a single vegan salad? Other than a bowl of plain fruit there isn’t a single vegan breakfast either, except in some stores you can have smashed avocado on toast. In fact, Kauai has gone in the opposite direction. 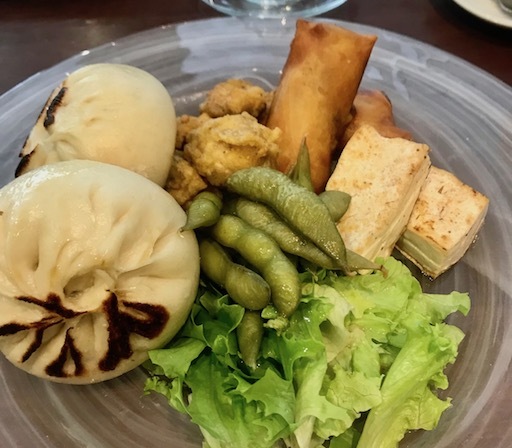 When giant Real Foods (Pty) Ltd bought Kauai in 2015 they removed the vegan icons on the menu and also the few vegan options available – such as a Moroccan red lentil soup and the vegan super food salad. They also used to offer Fry’s vegan chicken strips instead of chicken meat. The company will no doubt point out that you have the “design your own” option where you can laboriously crack your brain dreaming up your own vegan bowl, wrap or salad. However, there is no tofu or vegan protein option. Vegans presumably must only eat carbs. Without any vegan consciousness this claim rings hollow. It’s almost as if Kauai doesn’t believe in its own company’s philosophy; as if it is scared that in talking up healthy living it might be perceived to be a place only for vegetarians. But Kauai is missing out. There is the vegan veto. Circles of friends who are food and health conscious and concerned about such things as GMOs, ethics and fair trade – which falls into Kauai’s target market – are highly likely these days to include a vegan or two in their number. So, when friends say, “Let’s grab a bite, how about Kauai?” I say, let’s go somewhere else, and Kauai loses the entire group not just me. The only time I do go to Kauai is for my free smoothie courtesy of Discovery insurance. Apparently, I’m an excellent driver and I get a free smoothie almost every week at Kauai. Of course, besides a few simple fruit and veg juices, Kauai only has one vegan protein smoothie ­– Nature’s Protein, which is all I ever order with my free Discovery wi-code. If they had something for me I’d probably order a wrap or bowl to go with it. The whole idea is to lure me into their store after all. But they don’t have a vegan wrap, bowl or salad, so I take my free smoothie and go and eat somewhere else. Kauai Kloof Street might be interested to know that having just counted my Wi-codes on my phone, I can confirm they have missed out on 41 meals already and counting. 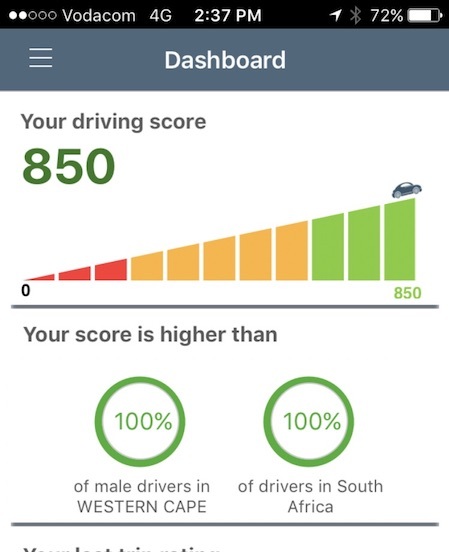 Apparently I’m a good driver. Phone screenshot. I have not approached Kauai for comment. This blog post will be updated if they take any notice.